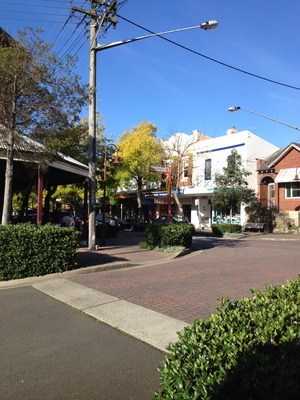 I'm a freelance writer living on Sydney's north shore. I like tea, books and pop music. If I can combine these into a single activity I'm a happy man. Nestled in a green pocket, just a few hundred metres south of the North Sydney skyscrapers, lies Sydney's best urban village and possibly its best kept secret – McMahons Point. Often over shadowed by foodie Crows Nest, Luna Park-screaming Milsons Point and affluent Kirribilli, McMahons Point quietly goes about doing everything her neighbours do, only ten times better. A maze of eateries on Blues Point Road form one of the liveliest restaurant scenes in Sydney, with everything from home made pizzas to high end dining. If you aren't seduced by Spanish tapas at Delicado (the zucchini flowers are spectacular), you can cross the road for modern Indian at Blu Ginger or sample the traditional Thai at Thai House - huge portions, cheap prices and stunning views over Lavender Bay. For more casual dining and a bit of celebrity spotting try Piato's modern European menu, a favourite hang out of the Channel 7 glitterati. Weekend breakfasts here are legendary, but as the line of people still waiting for a breakfast table at midday will tell you, book ahead. Further down, Blues Point Gourmet Pizza lives up to its name with a truly mouth watering array of fresh home made pizzas, including an amazing sweet pizza with ricotta, pears and honey. If retail therapy is more your thing, get lost in the many independent shops selling everything from books to homewares, fashion, plants and more. 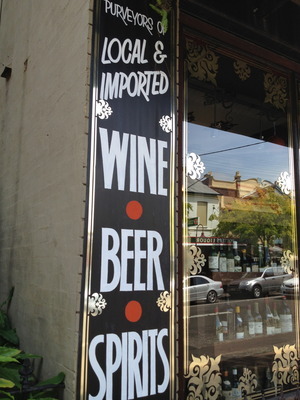 One shop you definitely should visit is the gorgeous bottle shop attached to Delicado. Kitted out in wood and wrought iron, the shop specialises in Spanish wine but has a good selection of international wine as well as decidedly non-alcoholic make-at-home churros. While the social aspect is one of the best parts of McMahons Point, the major drawcard is away from the high street, further down the road at Blues Point Reserve. As you stroll down, history buffs should keep an eye out for glimpses of Sydney's frontier past with original, colonial sandstone houses huddled unobtrusively between later rows of terraces. As you reach the end of the street (try and block out the Blues Point Tower, "Sydney's ugliest building", on your right) stop and drink up the view. This is the perhaps the best spot in Sydney to get a point blank, full frontal, uninterrupted view of every one of Sydney Harbour's jewels. It's all there, the Bridge, the Opera House, the ANZAC Bridge, Sydney Observatory, the city skyline. It should be mandatory for every tourist to be deposited here as soon as they step off the plane. The unfathomable part is they rarely come, and on any given day (okay, apart from New Year's Eve) you'll more or less have the place to yourself. There is a play park for the kids, oodles of grass for a picnic and even a tiny beach if you feel like braving the waters of the inner city harbour. There really is no better place to end the day as the sun slowly sets over the harbour. But if spectacular food, jaw dropping views, amazing shops or the chilled out atmosphere isn't enough for you, well you are only a quick ferry ride into the action of the city or Darling Harbour- but the problem is, once you cross into McMahons Point, you really aren't going to want to leave. And as any resident will tell you, why would you? Ferries run to McMahons Point wharf from Circular Quay and Darling Harbour approximately every 20 minutes. Alternatively, North Sydney station is a 5 minute walk away and Milsons Point station is 10 minutes away. Bus 265 runs from North Sydney station every hour on weekends. thankyou I tookmy mum here today for her birthday lunch and she loed it. I took her to Pato's food was great and sevice was wonderful and she loved seeing afew stars. I had forgotten how lovely this spot is. Must make sure I go back and explore it again soon. 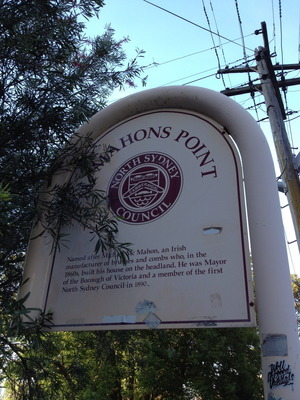 I like this article Paul and I must revisit McMahons Point, however from memory it can't be too much of a secret because the parking has always been dreadful there. Finding a spot often used to mean a long walk to the restaurants. On your recommendation we headed around to McMahons Point and had pizza for dinner down at the reserve. The pizza was the best we have had in Sydney and the dessert pizza to die for. Nice thin base and not too sweet. We will be making that a regular outing from now on! I went there yesterday on your recommendation and it was really lovely. Going there again today. Thanks heaps for sharing. I'm stoked that so many people have enjoyed this article and have got out there and discovered McMahons Point. It is a truly beautiful place and I am often surprised that the wider population and tourists have no idea it exists. Then again, perhaps I should be glad about that...McMahons Point swarming with crowds would probably destroy everything that makes it great! It's a lovely local spot - my parents live at Lavender Bay and we are just at Waverton so it is very handy but parking is a nightmare there. thankyou I took my mum here today for her birthday lunch and she loved it. I took her to Pato's food was great and sevice was wonderful and she loved seeing afew stars and the views where so lovely.